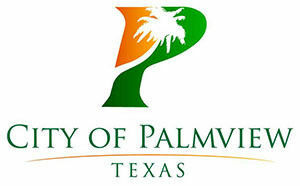 PALMVIEW — Interim City Manager Leonardo Olivares has been working to get the city on the right track since he was appointed to the position last month, recommending changes so that city is in compliance with the city charter. The city commissioners approved an ordinance to adopt a roll call voting procedure and a resolution to adopt parliamentary rules of order during a meeting on Tuesday, both of which are required by the charter which was adopted in 2006. With a roll call vote, as opposed to a voice vote which was the commissioners had been doing, each commissioner’s vote is recorded allowing the public to know how they voted. Adoption of parliamentary procedures allows the commissioners to establish their own rules of order during meetings. Olivares’ review of the city charter comes in the wake of a management review that found the city lacked proper policies and procedures. City Manager Ramon Segovia was subsequently placed on paid administrative leave and Olivares was brought on as interim manager. Olivares said he began by looking at the sections of the charter, documenting what was deficient — or what they had no confirmation of — and then making recommendations. The commissioners also authorized Olivares to procure professional services for the codification of all city ordinances and resolutions. Whichever company is hired will be tasked with organizing the ordinances so city officials and the public can easily access them. The charter required that should have been completed in 2009. Olivares assured the city’s noncompliance is not a criminal act and that violations are remedied by a court order to comply with the charter. At the beginning of the meeting, Olivares was sworn in as city manager, though he is still serving in an interim capacity. During executive session, the commissioners discussed possibly terminating Segovia and approving a contract with Olivares. However the items were tabled pending further review and internal investigation.